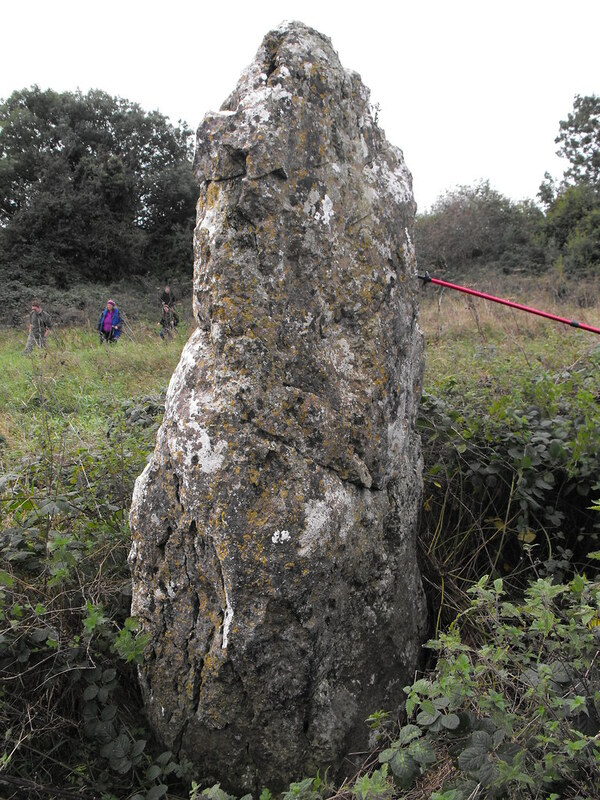 The Standing Stone: Newtown/Skirk, Standing Stone, Henge and Motte and Bailey, Co. Laois. Newtown/Skirk, Standing Stone, Henge and Motte and Bailey, Co. Laois. 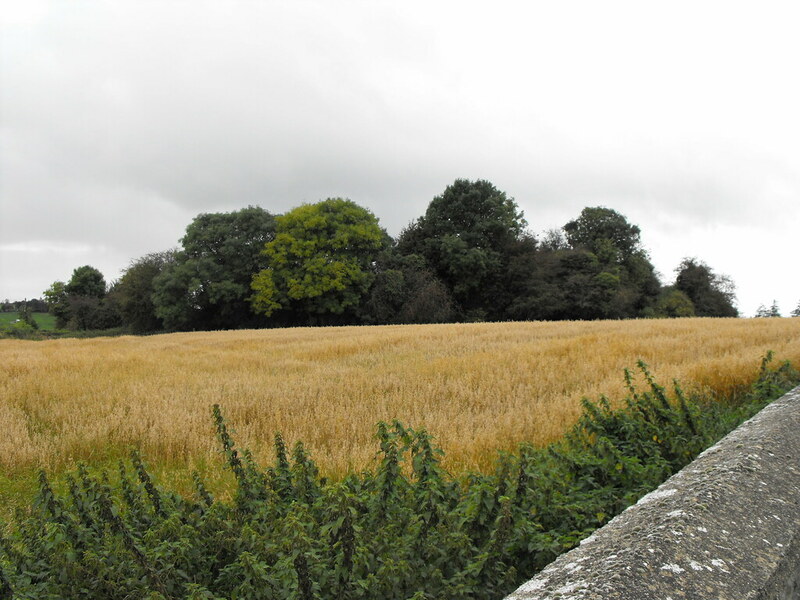 Location –These three sites are literally on top of each other and are right on the road across the field from the church, near Borris-in-Ossory. 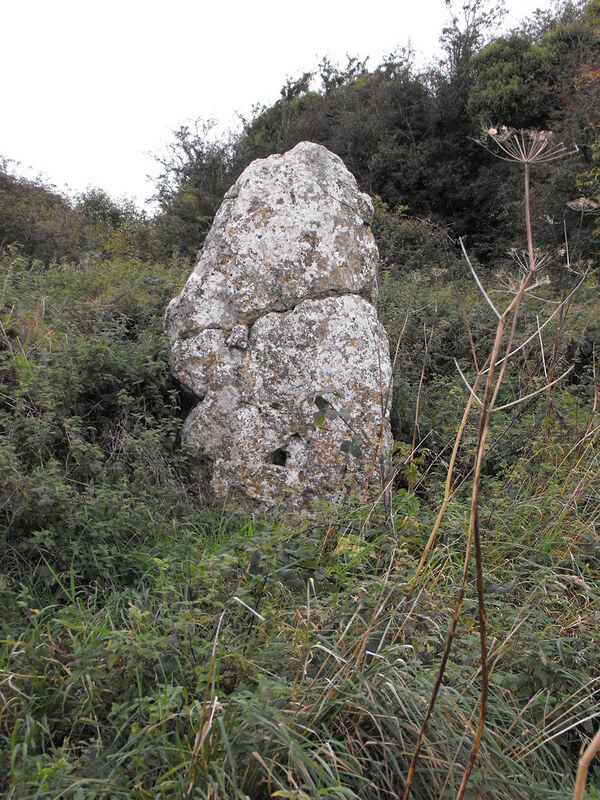 Description and History – This site, although easy to find, frustrated me a lot and it was only on my third visit that I finally figured it out and found the standing stone. The site is overgrown and in the summer months is hard to penetrate. I had tried twice to climb the mound through the undergrowth and upon getting to the top I found it too overgrown with scrub and trees to move around or see anything. 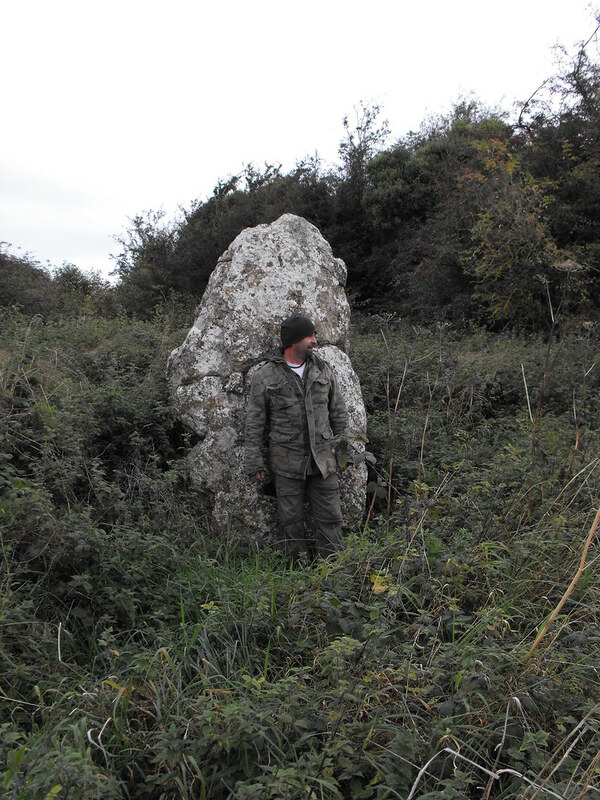 Upon going back a third time and failing again, the undergrowth had died down enough to get up the other side and I, along with my brother, finally found the stone. I had wrongly assumed that the henge and the motte and bailey were one and the same and was an example of a site being reused. However, it appears that the motte and bailey is separate and pressed up against the henge and that the two are in a figure of 8 shape with the motte and bailey being considerably smaller than the henge. However, the Archaeological Inventory of Laois says that the henge and motte and bailey are indeed one, but there are definitely two mounds here. The second mound could possibly be the remains of a large bank. The henge is quite large although I would argue with the measurements given in the inventory which lists at being some 90 meters in diameter, it is smaller than that. 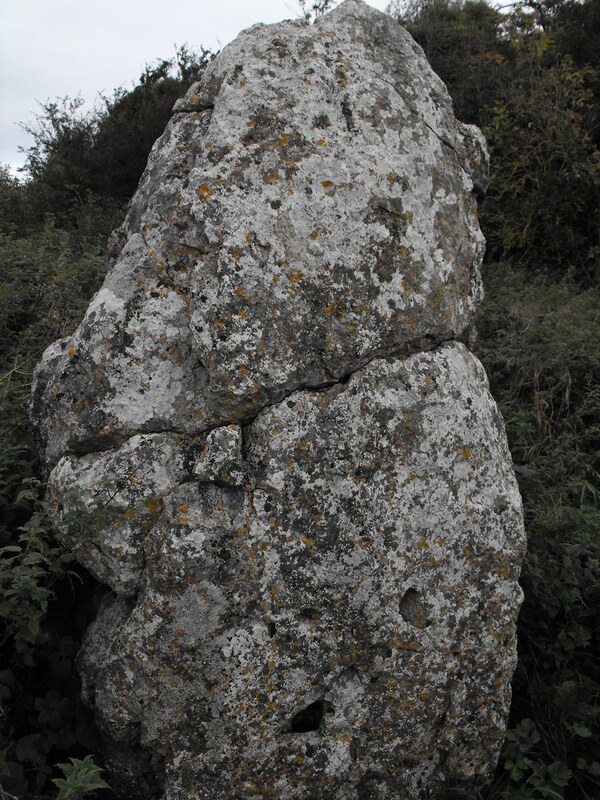 The top is clear and the stone sits in the N sector of the henge and is roughly 2.4m high. 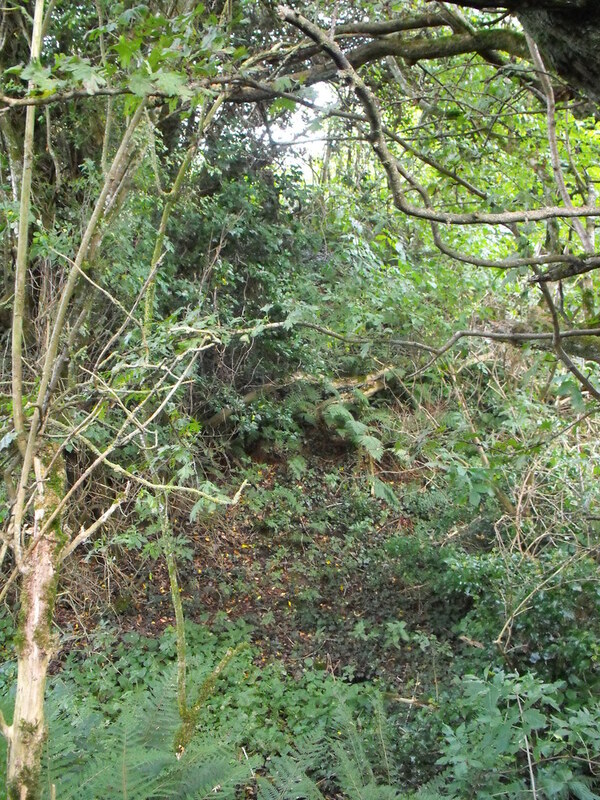 There are substantial banks and a fosse but these are hard to make out because of the trees and scrub. This site would be of interest to more than the enthusiast and really should be cleared for all to see. 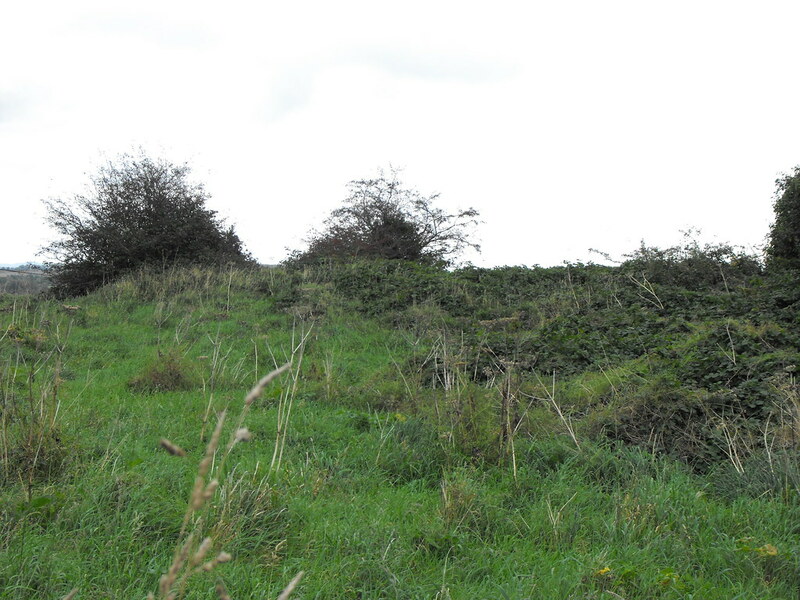 Difficulty – Although easy to find the site is hard to traverse because it is so overgrown. I recommend going in the winter months. For more henges, click here. 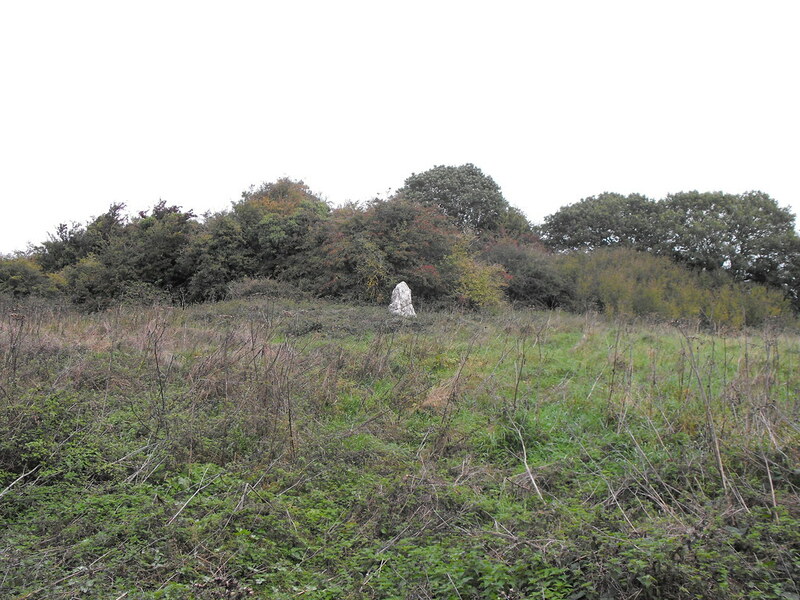 The overgrown henge and motte and bailey as viewed from the nearby churchyard. As you can see, it is very overgrown here. Looking from the top of the henge to the bottom. 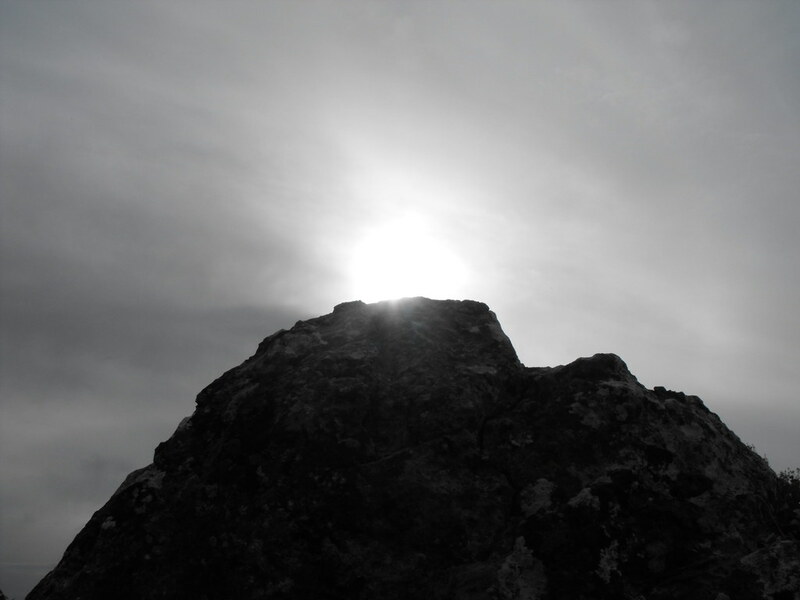 It's a difficult climb.